Nerdist has released an official statement following recent allegations made against Chris Hardwick, the company's founder. The allegations were made via a lengthy post on Medium from Hardwick's former girlfriend, Chloe Dykstra. Though she didn't name him specifically, the content of the letter has made it quite clear that Hardwick is the subject she is referring to. In the letter, she alleges that she suffered years of sexual abuse and controlling behavior during the course of their relationship. Nerdist has responded to the allegations with the following statement, which went out on their website and through their official social media channels. "We were shocked to read the news this morning. Nerdist prides itself on being an inclusive company made up of a positive, diverse community of people who come together to share, celebrate, and discuss the things we love. That type of behavior is contrary to everything we stand for and believe in, and we absolutely don't tolerate discrimination, harassment, and other forms of abuse." 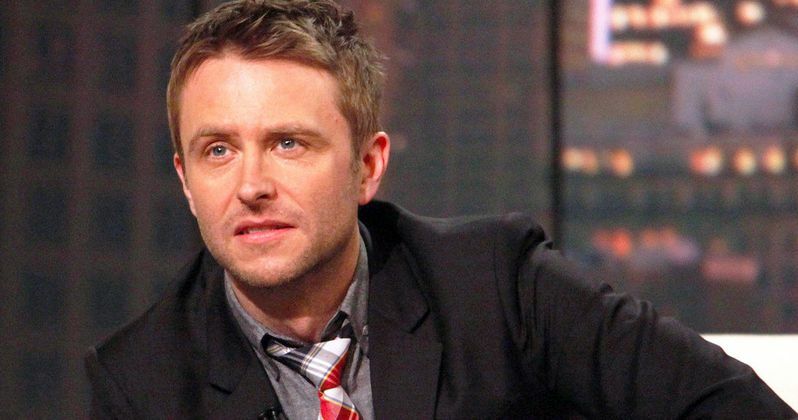 Chris Hardwick host of AMC's Talking Dead and former host of Comedy Central's @Midnight, launched The Nerdist Podcast in 2010 and, subsequently, Nerdist Industries. The company was purchased by Legendary Entertainment in 2012. Since the allegations were made, Hardwick's name has been removed from the website and Legendary released a statement affirming that the 46-year-old host and comedian has had no involvement with the company for the past two years and that they're awaiting further investigation into the matter. "Chris Hardwick had no operational involvement with Nerdist for the two years preceding the expiration of his contract in December 2017. He no longer has any affiliation with Legendary Digital Networks. The company has removed all reference to Mr. Hardwick even as the original Founder of Nerdist pending further investigation." Chloe Dykstra, daughter of legendary visual effects artist John Dykstra, detailed her toxic three-year relationship with Chris Hardwick, who is nearly twenty years her senior. She alleges that he was emotionally abusive, instantly setting rules for her once they started dating. She alleges she wasn't allowed to have friends, speak at public events, drink alcohol, or have pictures of any of her male friends in her home. She also alleges that Hardwick coerced her into being sexually available to him at any time of his choosing. Dykstra says she was regularly in tears during their sexual encounters. This led her to become anorexic and, at one point, she even contemplated taking her own life. Following their breakup, Dykstra says Hardwick had her blacklisted, making it difficult to get work in the time since. Here's some of what she had to say. "This kind of relationship is so common, and so easy to slip into. Normalizing behavior happens incredibly quickly, and one can lose track of what is acceptable treatment... And when your self-worth reaches such depths after years of being treated like you're worthless, you might find you think you deserve that sort of treatment, and no one else will love you." Chris Hardwick has yet to respond to the allegations. In their statement, Nerdist also included information for several sexual assault hotlines saying, "There are many ways you can help a friend or loved one who has been affected by abuse." It's as-of-yet unclear if these allegations will effect Hardwick's status as of host of shows like Talking Dead or The Wall, in addition to any of the other projects he has in development, but it seems likely that AMC and the other networks he works with will want to distance themselves from the situation. We'll be sure to keep you up to date as the story develops. This comes to us courtesy of Nerdist.